The owners of this property in Ryde wanted to landscape around their recently installed pool and connect the indoor living and kitchen area with the outdoors. 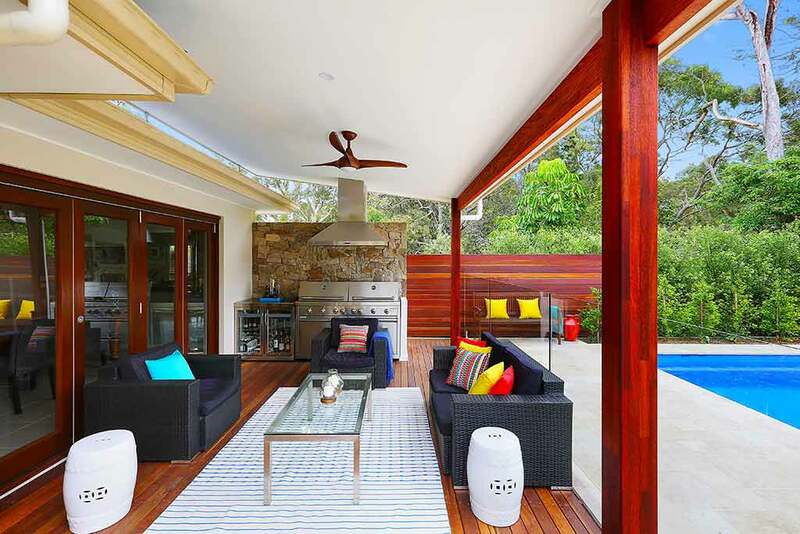 We laid spotted gum decking directly off the inside living area to make this seamless transition, and installed a barbecue area with an alpine stone cladded feature wall as the backdrop. 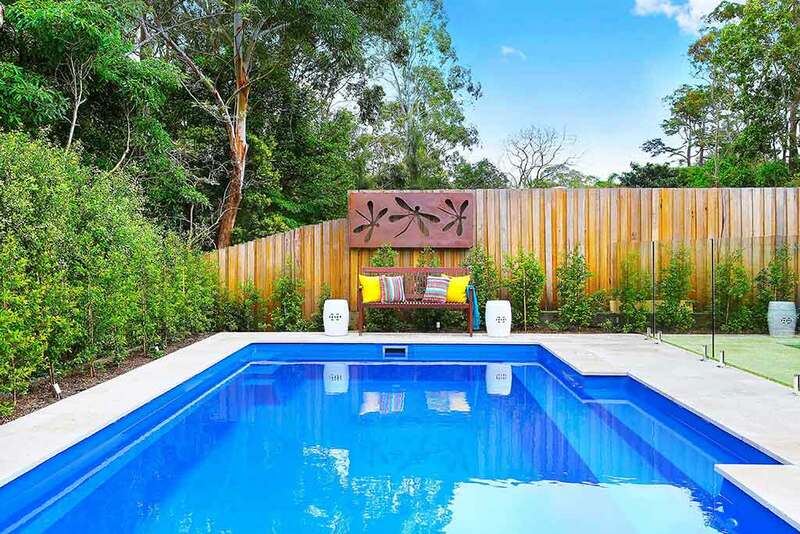 The pool area surrounds feature travertine tiling, new pool copping, lily pily ‘Backyard bliss’ hedges and a fully irrigated garden. 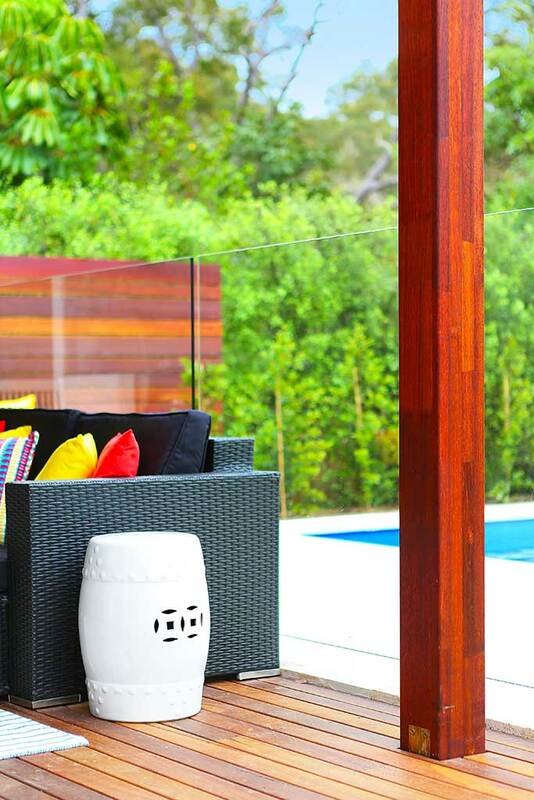 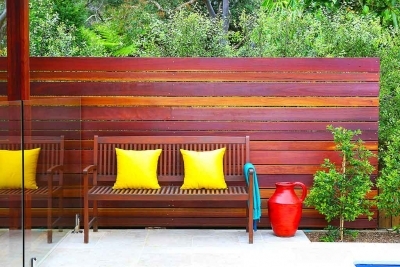 A timber screen along the side of the pool creates privacy. 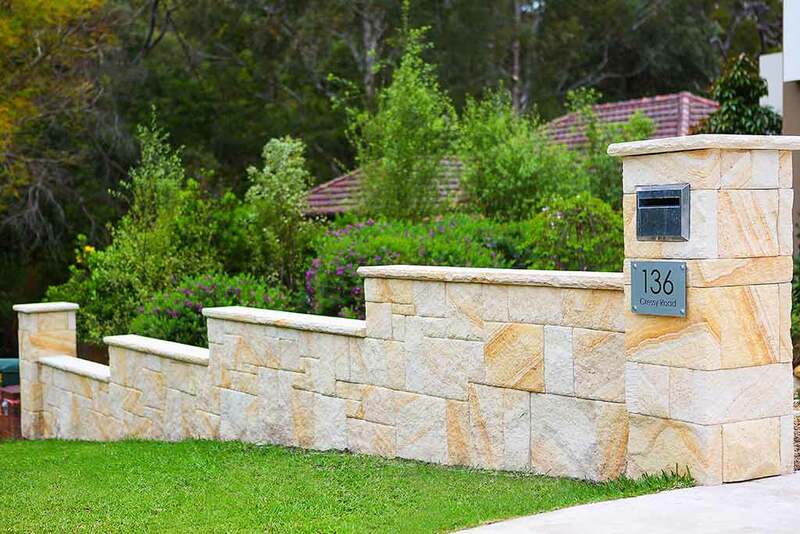 For their front yard, the owners wanted to create a separation from the nature strip so we installed our signature sandstone wall to tie in with all the natural materials used in the remainder of the property. 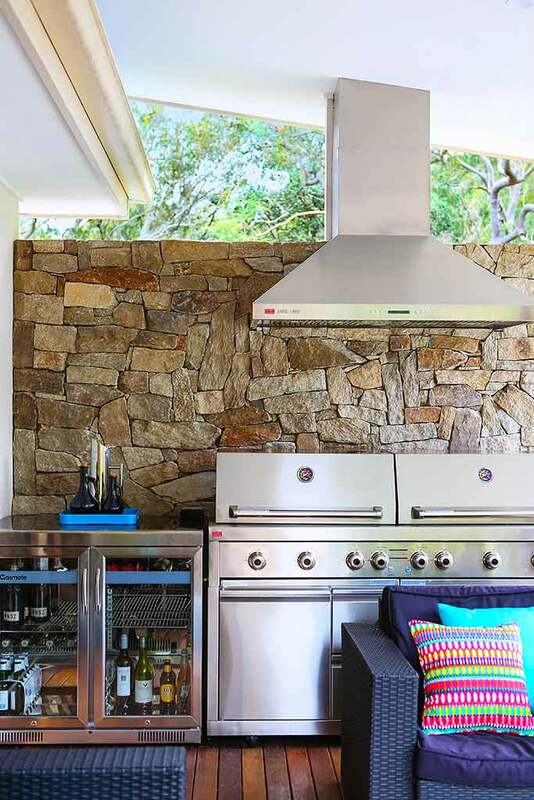 Browse other examples from our online portfolio. 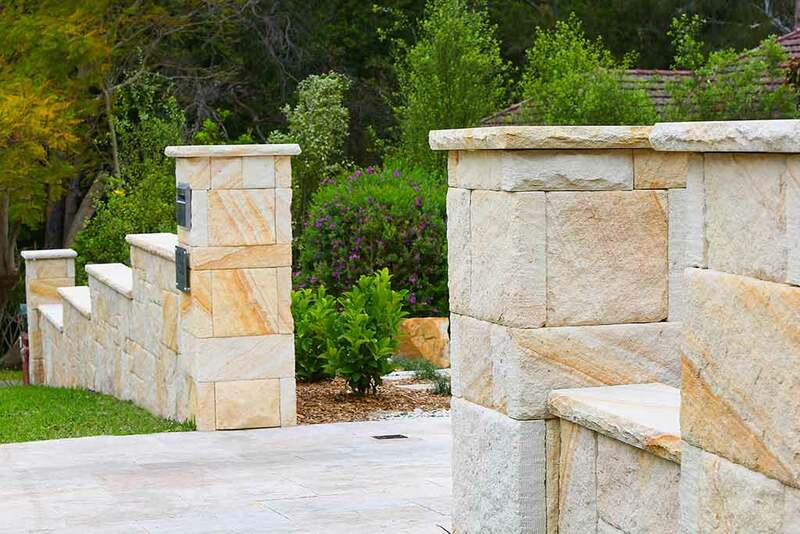 Alpine Stone Cladded Feature Walls, Travertine Tiling, Pool Copping, Clean and crisp timber screening, the list of features we can install is endless. Speak to us today to discuss your requirements and let us deliver the backyard of your dreams. 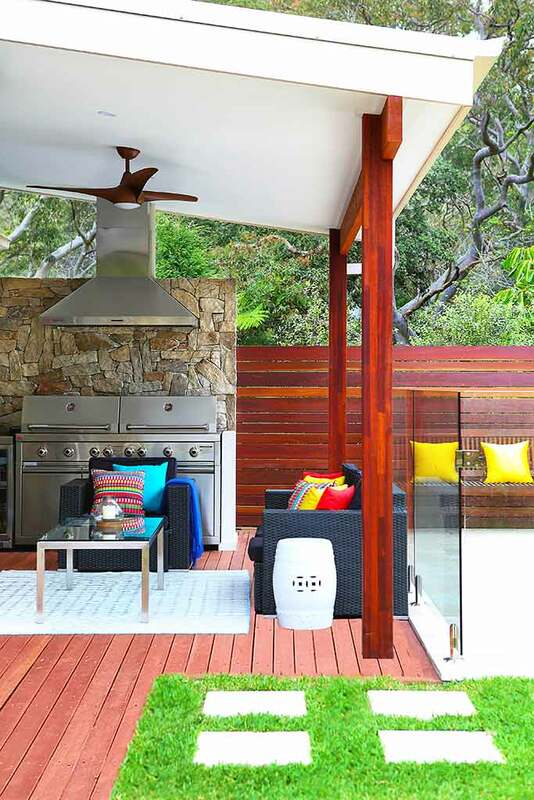 This Ryde makeover is just one example from our huge portfolio, please take a minute to see other examples.